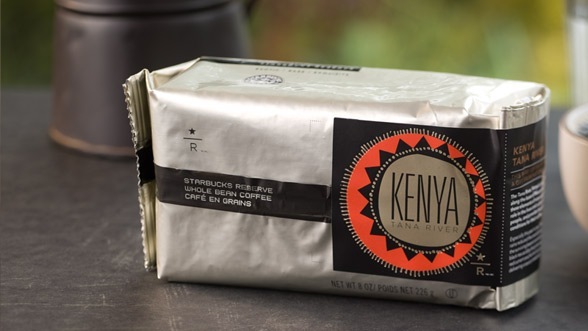 Named for the Tana River – Kenya’s longest at 440 miles – this exotic coffee is sourced primarily from nine Kikuyu cooperatives representing “smallholder” farmers in Central and Eastern Kenya. Each farm averages a little over two acres of land, upon which stand perhaps 250 coffee trees. When prolonged rains deluged the farms last harvest, a much smaller crop resulted, and concerns ran high. However, the ultimate outcome was positive: the crop quality was extraordinary, with better bean size and luscious flavour characteristics. The result is a very special coffee. Kenya Tana River offers bright characteristics that evoke summer. Its black tea acidity gives way to flavours of red currant and heirloom ground cherries, ultimately delivering a savoury sweetness. Pairing Flavours: Enjoy this coffee with sweet citrus fruits, savoury herbs and rich spices.